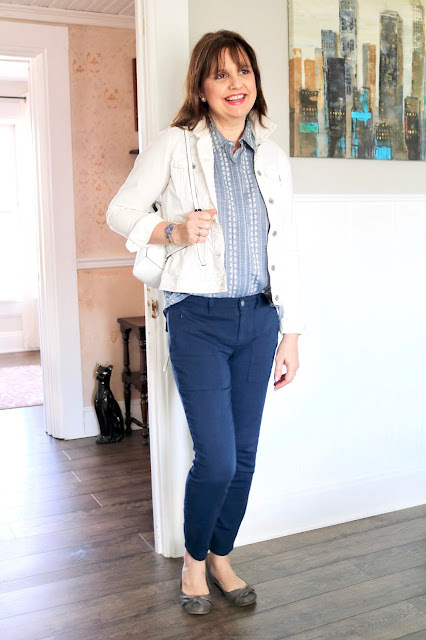 I have a casual outfit to share today featuring navy blue pants from Stitch Fix. 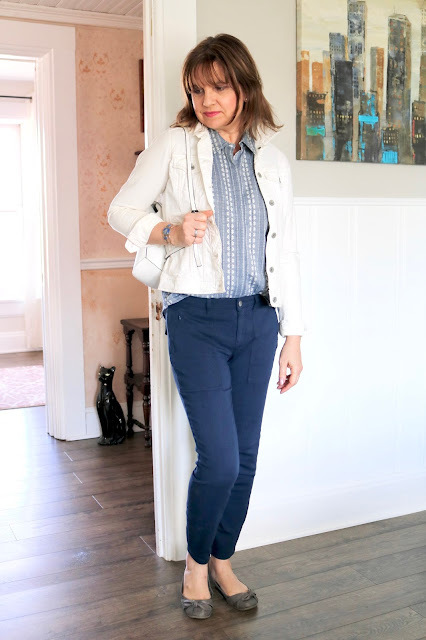 This is a great outfit for running errands or other casual events. 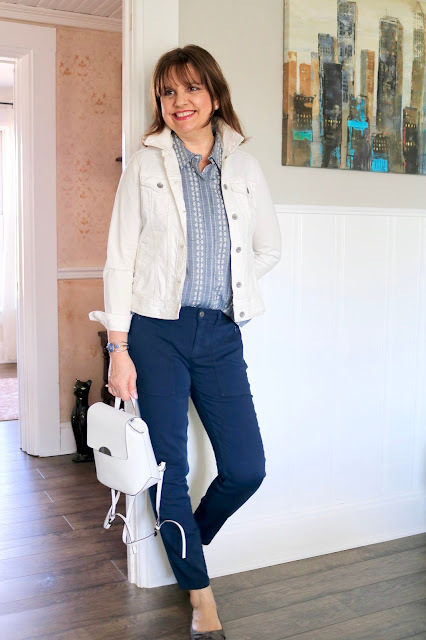 I styled the pants with a sleeveless, embroidered chambray top, a white denim jacket, grey flats, and a white back pack. The pants fit me very well, but the rise was not as high as I prefer so I did send them back. The pants had long pockets and cute little zippers! 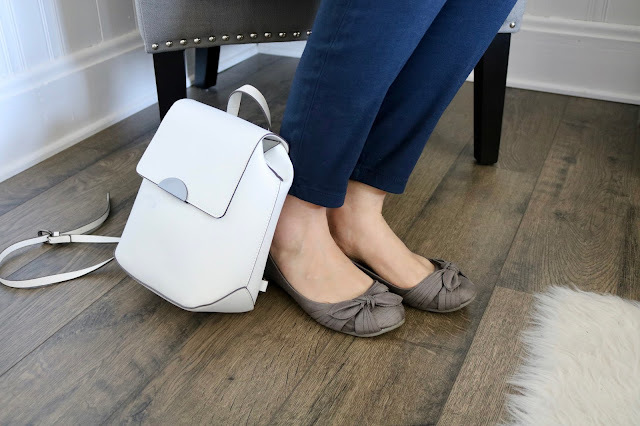 Back Packs and ballet flats are great accessories for an active day. For jewelry I chose a silver and blue bracelet and a simple pearl necklace. If you missed my other pieces I received in this Fix check out these posts HERE, HERE, and HERE. I will also do a summary of Fix #15 on Monday when I conclude with the last piece I received in that Fix. Thanks Mica! Yes, if the rise was a little higher, I would have kept them. Thanks for visiting! These pants do seem to have a short rise, which I don't think I'd like either. I've actually been really preferring mid or high rise lately, especially on skinny or jegging styles. They are super cute, I love the zipper details. 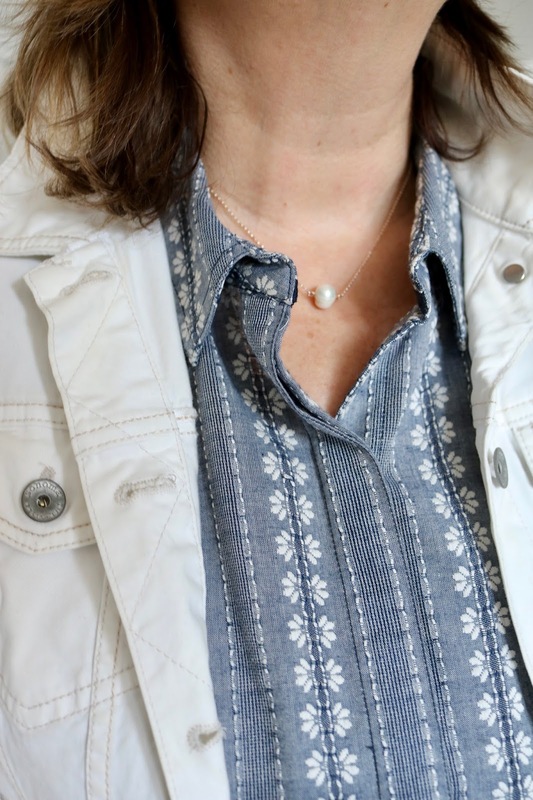 I really also love the white accessories and that chambray top. Such a cute and comfy look for errands or lunch! Amy this is a fabulous look! I just love those pants. Will you email me or send me your email address so I can email you? I would love it if you would be my guest co-host next Friday for Style Wise link up. My email is northwestmountainliving@gmail.com Hope you have a great Mother's Day! Those skinny pants are really cute! I love the color, but I too prefer a higher rise pant. I also like the pairing with the shirt and jacket. Thanks! They were so comfy and fit well, except for the rise. Love these pants. I agree, not so high rise but they look good!! 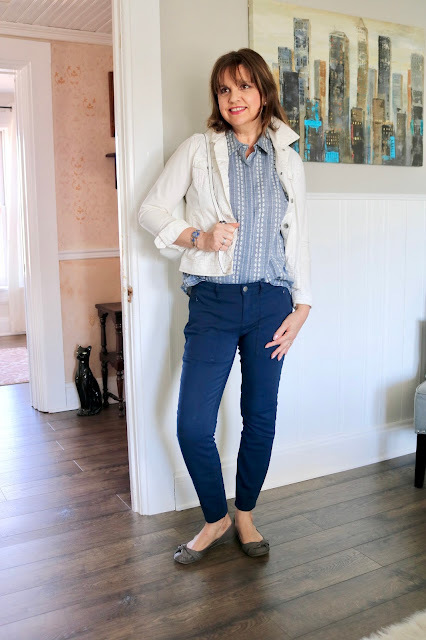 I have to give Stitch Fix a try because everyone seems to have a great experience with them! I also wanted to drop in and say Thanks for linking up with me last week! Thank you! 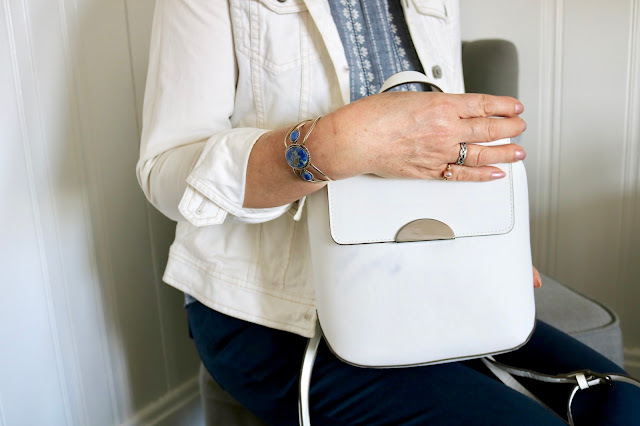 Yes, you have try Stitch Fix, it's a lot of fun.